On vacation, you can pretend beautiful Boulder is your home. 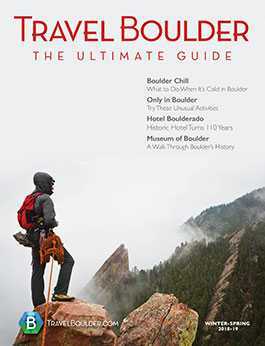 Pick your preference, from luxurious Boulder resorts to charming historic hotels to camping in the mountains or an RV. Boulder’s lodging also spans friendly B&Bs and nearby cabins and cottages. Many vacation rentals fill the boutique hotel niche, with a personal concierge feeling and high-end amenities, yet budget travelers can still find a bed in town for under $100 a night. Station in a Boulder hotel near downtown if you want to be close to the action and don’t want to rent a car. Or seek out a rustic lodge in the mountains if Mama Nature is on your visitation list. We can help you find the best place to stay on your next Boulder vacation. …But You Have to Sleep Somewhere.